← The Forrest Gump of Cats . 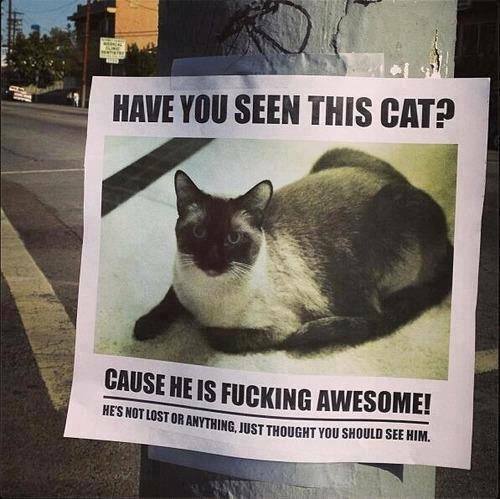 . .
You’ll be able to find all the best cat stuff right here, starting with my favorite “Wanted” poster. While you’re at it, I think you should see this one, too.